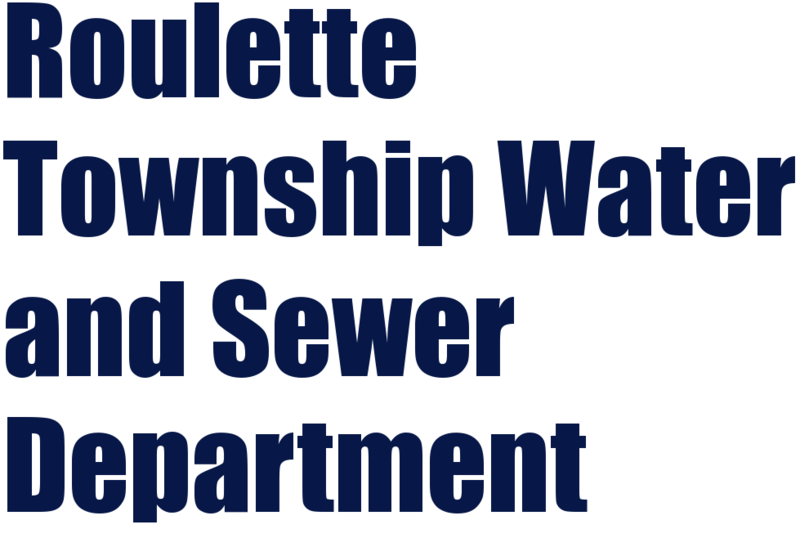 Welcome to the Roulette Township Water and Sewer Department Web Site! You may access this site at any time to see what's new and exciting (or not) concerning Roulette's Water and Sewer Systems. Various forms of information will be available here as well as links to other information you may find important to you and your family. The Roulette Township Supervisors are pleased to announce that the Consumer Confidence Report (Water Quality Report) for the 2014 operating year is now available to the general public. We are also pleased to announce that all EPA and PA State DEP distributed water quality requirements were met or exceeded for the 2014 operating year. The report will not be mailed out to all of the Roulette water system customers as in the past. The EPA and PADEP now allow electronic delivery of this report. RouletteTownship is taking advantage of this, which saves the Township the high cost of mass mailing the report. The web site used is provided at no charge to the Township by the Pennsylvania Rural Water Association. As time goes on there will be other useful information available to residents on that web site related to our Water and Wastewater Treatment systems. Paper copies are available from the Township Office on request, or by mail. If you have any questions related to the report, please feel free to contact the Township Office. The secretary will direct your question(s) to the Town Water Operator.